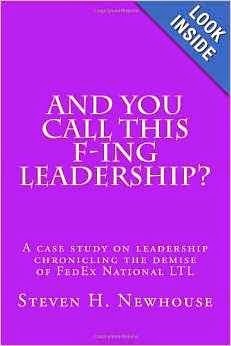 Steven H. Newhouse is a retired vice president and managing director of Human Resources from FedEx National LTL and FedEx Freight Corporation. After obtaining his BBA and MBA from Western Michigan University, he spent 43 years in Human Resources management with seven different corporations after serving as an Adjutant and Personnel Officer for an Air Defense Artillery Battalion in the US Army. He spent 24 of those years as a vice president of Human Resources at four different corporations. During his career, Steve was a board member and board chair of CUE, Inc. an organization devoted to positive employee relations, San Antonio, TX; a board member and board chair of the North American Transportation Employee Relations Association, Washington, DC; a cofounder of “Freewheelers”, an organization comprised of 20+ national trucking companies who meet regularly to discuss common Human Resources practices and industry workforce issues; a board member of the Blue Ridge Conference on Leadership, Auburn University, AL; a board member of the United Way of Central Florida, Lakeland, FL; and a board member and board chair of the American Red Cross, Polk County Chapter, Winter Haven, FL. Steve currently serves on the board of the Watercolor Society of North Carolina where he is responsible for long range planning for the society.